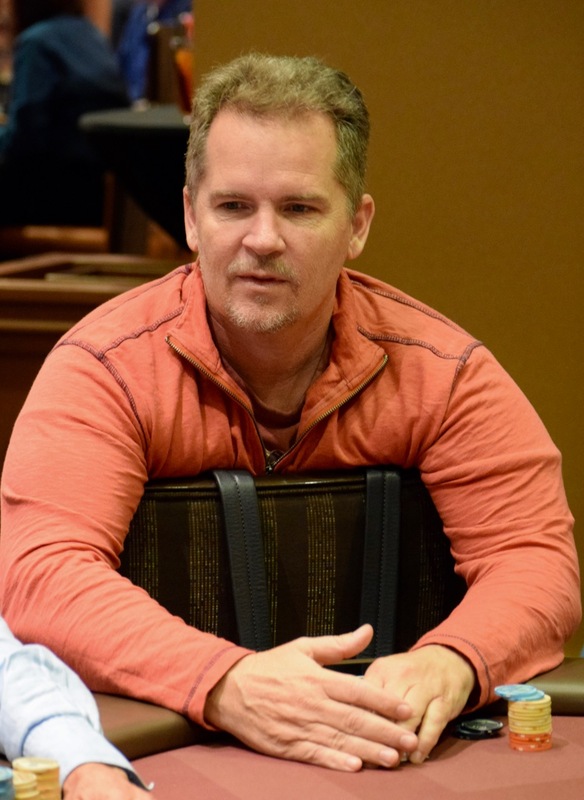 Bob Mather moves all in preflop for his last 15,000 chips and gets one caller. Mather shows Aces and his challenger shows Q9. The A-J-9 gives Mather a set, but sets his challenger up with two backdoor straight draws.